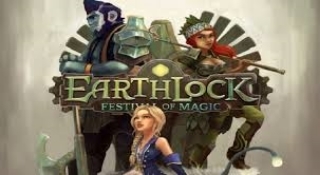 WiiWareWave owner Rukiafan recently interviewed Snowcastle Games about their upcoming title Earthlock: Festival of Magic which will be released for the Wii U in Q2 2015. We all have questions regarding this game and perhaps the interview will answer some of those questions? Here is the interview in its entirety. Hello and thanks for joining us today for this interview! [SCG]: Thanks for having us! 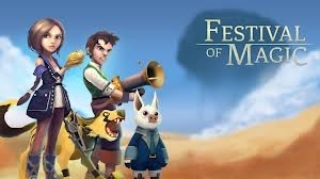 What inspired you to create the fantastic world of Earthlock? [SCG]: Well, we always wanted to make a larger game, as a team. After we shipped the interactive storybook/adventure game hybrid “Hogworld: Gnarts Adventure” we had a round table where we talked about what our dream project would be. We are all RPG fans over here, so that was the initial spark. The lore and world has been a very organic process where we’ve all been involved in the development over the last year or so. The inspiration comes from all sides. We’re a bunch of nerds over here so we have a lot of stuff we’d like to put in the game! We have the very talented Magnus Aspli aboard as our writer, and he’s currently putting all of it into a script format and lore documents. [SCG]: We’re 5 people working on Earthlock in house, as well as a few contractors. All told we’re 10 people in various roles connected to the game at this point. How long has the team been working on the game? [SCG]: We’ve worked towards making Earthlock a couple of years. A lot of time has gone into securing funding for the game of course, but now after a successful kickstarter we’re in good shape and are moving ahead with a lot more speed than we have before! [SCG]: Plumpet Island, which will function as the players’ home base, is sort of as a homestead where you’ll do the ammo harvesting and so on. We’ve always envisioned that area to grow with you as you go through the game. What we’re currently trying to do is having people move in as you move through the story beats and meet different characters. 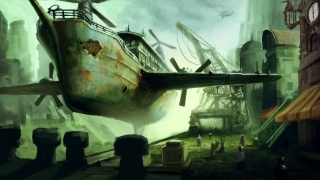 The people that will inhabit the island will bring with them new shops and features for the player to interact with, so the area will continually be added to during the game. So I guess it is less of a town building feature and more an area that’ll grow alongside you. 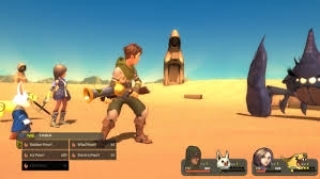 We see some similarities between the PS2 RPG Dark Cloud and Earthlock. Was Dark Cloud an inspiration for some of the game's features? [SCG]: Not really. There are a couple of people at the office that played Dark Cloud but it’s not something we’re actively referencing, no. Are there any other features that you can divulge some new details about? [SCG]: We’re very much in a post kickstarter planning stage and rolling into production. We have a bunch of stuff we’d like to share but we’d like to keep our cards close right now and show off some new stuff when we’ve gotten a bit further down the road. 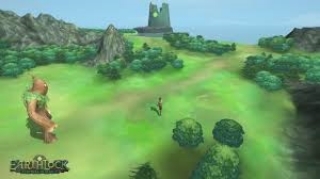 If successful will Volume 2 of the Earthlock saga be released on the Wii U? [SCG]: Without making any promises, we’re of course hoping to have the opportunity to make all three volumes available on as many platforms as possible. We’ve seen so much positive support of what we’re doing from the Nintendo community so we’ll be pushing hard to make it happen on the Wii U for sure! of the music for the title? [SCG]: Our composer is Eiko Ishiwata. She is a very talented multi-instrumentalist. We’re very happy to be working with her on Earthlock! etc. to Volume 2 after beating the game? [SCG]: We’re aiming for that, the narrative carries through the games and it would make sense that the characters and their gear does as well. opportunity to interview you again sometime. [SCG]: Thank you! It’s always fun talking about Earthlock! We’re definitely up for another interview a little down the road from here when we’ve built more of the game! Did this interview answer any of your questions? If you have any comments post them below and take a look at this teaser trailer for Earthlock that was shown during this year's GDC. This game is near the top of my wishlist. Hopefully it will be worth the wait! The next year will be good for eshop customers. It's features like this that make WiiWareWave so awesome! DBZmania wrote: It's features like this that make WiiWareWave so awesome! Thank you very much! And thank you @FuManchu for posting my interview. The Wii U needs more rpgs like this!